Known as a honey pear due to the sugar content. A large round yellow fruit that stores well. Most popular Japanese cultivar. Extremely great for cooking, fresh eating. 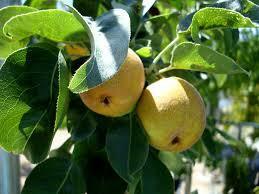 Pear trees give you the longest life shelf of any fruit.They have been a staple food for thousands of years.